This is a spectacular Barranca Mesa home located along Bayo Canyon! Be welcomed by the private, shady front yard. You can relax out front on the stone patio. The kitchen has been completely renovated with custom maple wood cabinets, under cabinet lighting, stainless appliances and granite tile countertops. The kitchen is adjacent to a sitting area, dining room and fireplace. Picture windows bring beautiful light in to the home and provides gorgeous scenes of the backyard. 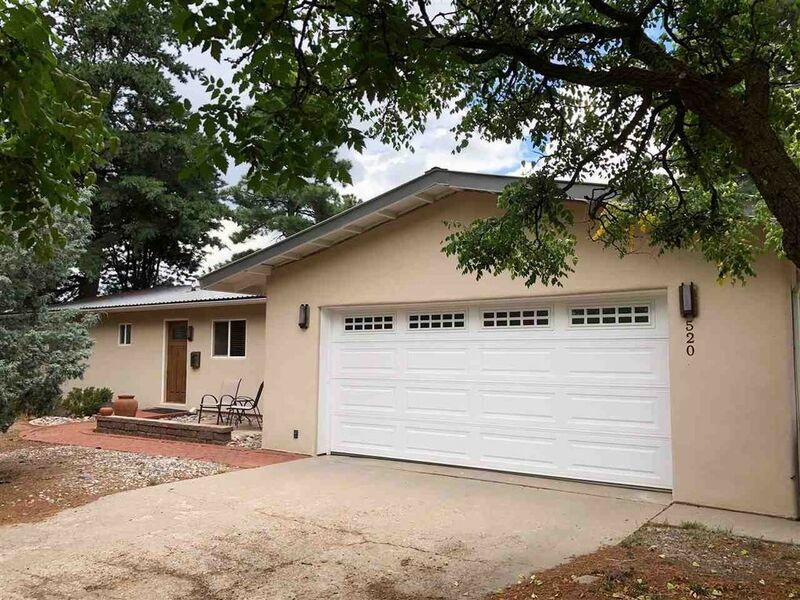 A second living room, three bedrooms and two remodeled bathrooms complete the first level. Downstairs, find a wine room, completed basement and laundry room. The north end of the basement is currently used as a woodworking shop. This area was originally designed to be an apartment. The area is plumbed for a kitchenette and a bathroom with shower is already in place. Outside is simply stunning. The back of the home has a hand-stacked rock finish. The backyard is meticulously landscaped. Enjoy playing bacce ball or simply relax in the shade. The yard backs to Bayo Canyon with access to hiking trails. This is an amazing property. Schedule a showing today! Directions: Diamond Dr past golf course > Left at round-about onto Barranca Rd > right on Camino Encantado (across from Barranca Elementary) > home is on the left (across from Obsidian Dr).